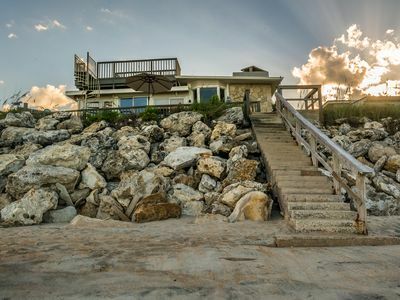 The "tree house" is located just four houses from the beach and was completely refurnished in spring 2018 by a professional interior designer with name brand furnishings from stores like Article and West Elm. Grab your surfboard and beach toys (provided for you) and be playing in the sand and the waves in mere minutes, with no need to load up the car or find a parking spot. Why is this house named the tree house? Actually, one of our guests named it that. The master bedroom hideaway, the only room on the second floor, feels like it is perched in the treetops, creating a peaceful sanctuary from the world (and the rest of the house), thus dubbing this home the "tree house". Enjoy the sounds of the rolling waves from your zen-like suite or from the master's private balcony sitting aloft the treetops. Finish the day by grilling up dinner on a Weber grill and enjoying dinner and drinks on the big deck with comfortable seating beneath a canopy of trees. Let the kids play on the swing and run in the large yard. As the sun fades away enjoy the outdoor fire pit roasting s'mores beneath the stars, listening to the lullaby of the waves, the singing frogs, and the highlights of everyone’s day. Enjoy the extras we provide, including: Tommy Bahama backpack beach chairs, beach umbrella, beach towels, sand toys, boogie boards, a surf board, and beach cart to tow it all. 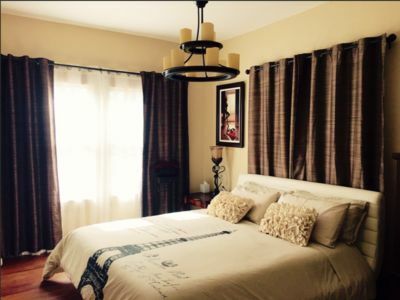 The master bedroom will take your breath away. 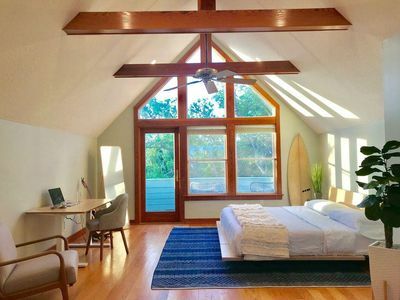 Located on the second floor as a private suite (this bedroom is the only thing located on the second floor), you will leave the world (or the family) behind in this surf side sanctuary that feels like a tree house sitting in the treetops. 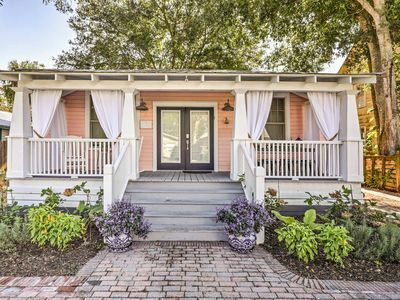 From the wooden beams and fantastic architectural elements, to the wall of windows bringing the canopy of green in your yard into the room, to your own private deck with seating, and an en suite bathroom with large walk in shower, you'll be tempted to tuck away and lounge here all day! 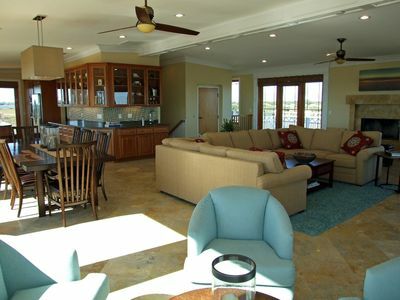 But when you leave your sanctuary and head downstairs you'll catch a glimpse of the ocean from your upstairs windows and you'll know it's time to hit the beach! 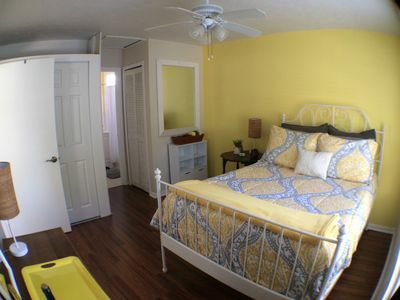 The queen bedroom is stylishly decorated with a built in desk for surfing the web or catching up. Open the windows at night to be sung to sleep by the sound of crashing waves. 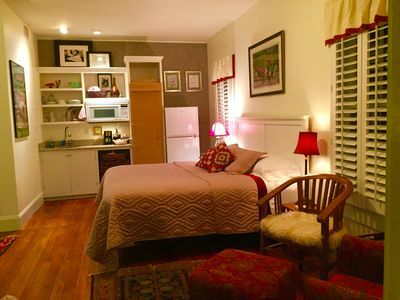 The twin room is a fun space with so many options! This room can sleep four in a variety of ways. 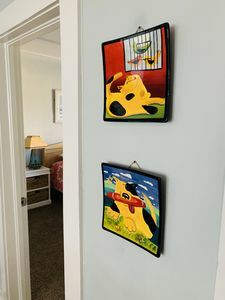 There are four twin beds provided; each twin bed easily stacks on one another giving the room ample space to play in the day but have plenty of room for sleeping a lot of people at night. You can also push two twins together to create a full bed. So sleep with the beds arranged into four single twins, two full beds, or one full bed and two twins, or keep the beds stacked to sleep only one or two. Lastly, sleep two extras in this stylish mid-century modern West Elm sleeper sofa in the living room. 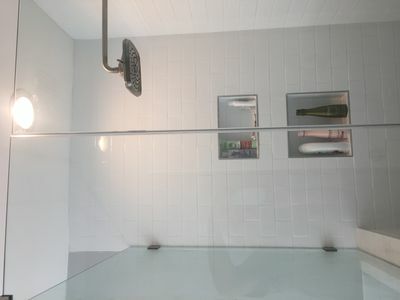 Main floor bathroom is a tub/shower combination located between the two bedrooms (not connected) and just steps from the living room. Laundry room is located beneath a covered walkway in the garage. Can't beat this location! 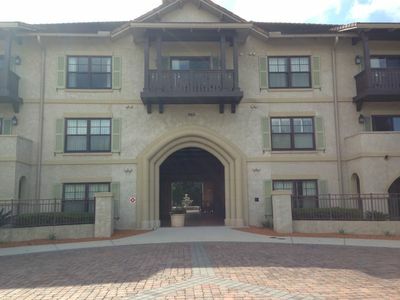 Facing a forest of trees, just four houses away from the beach in coveted Vilano Beach, we're just 10 minutes outside of Historic St. Augustine. Enjoy our more private beach access minutes from the house (there is no parking by this beach access point so the only people using it are the surfers living nearby). That means our stretch of beach isn't as cluttered as the spots right by the public access ways. But if you'd rather drive to the beach, we are less than a 5 minute walk to a big parking area, park, and bridge walkover to the beach. 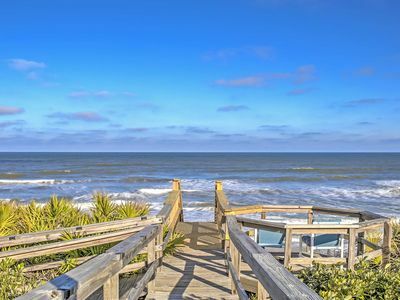 Vilano Beach is known as a sleepy surfer town not overcrowded by restaurants, hotels, and tourists. 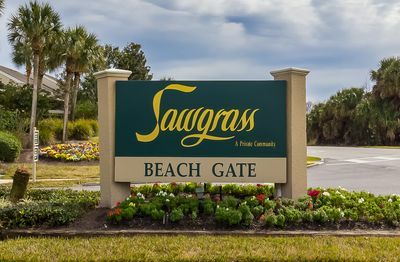 Yet, we're closer to downtown St. Augustine with it's hundreds of restaurants than any of the other popular beaches. Choose the best of both worlds by having more beach to yourself on our beaches, enjoying our small surfer village feel with our handful of restaurants, new large grocery store, and the Vilano Pier where you can fish or catch a water taxi to downtown, but also be close by to the attractions that bring people from all over the world. 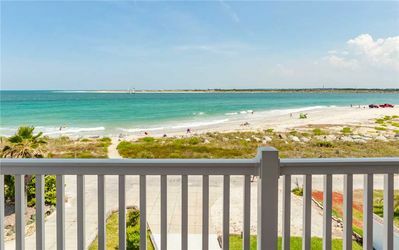 Every time you drive "home" to our beach cottage over the Vilano Causeway you'll enjoy a panoramic view of the Atlantic and intracoastal and you'll be grateful every time to have discovered this designer’s paradise on magical Vilano Beach. 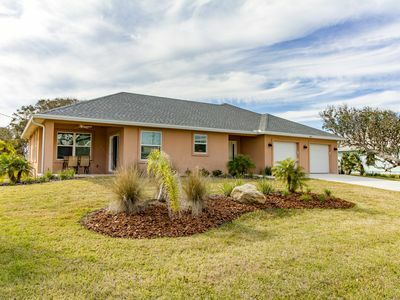 - Incredible St. Augustine location just four away (a few minutes walk) to Vilano Beach (so close you hear the waves from the house). 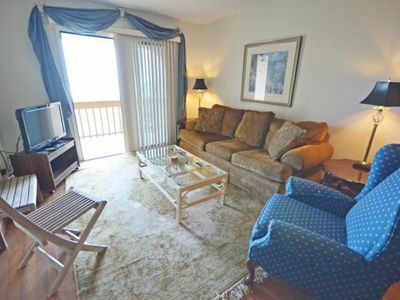 5 minutes to the grocery store, Vilano Pier, and shops and restaurants. 2 minutes to popular restaurants like Caps on the Water, The Reef, and Aunt Kate's. 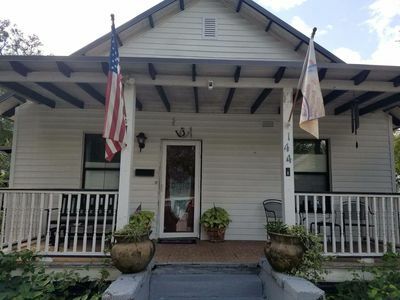 10 minute drive to historic downtown. 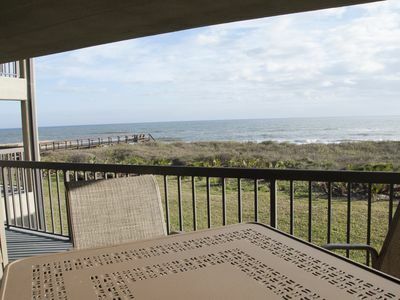 20 minutes to St. Augustine Beach area with pier and dining and other coastal attractions. Central Downtown Historic St. Augustine! Walk everywhere! Just renovated! 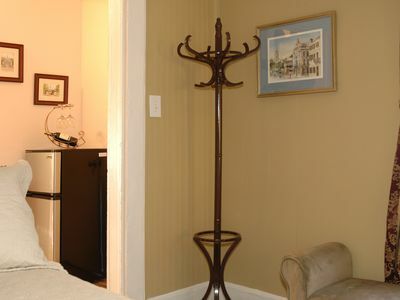 Airy studio with style for 2 in historic home. Park & Walk Everywhere! 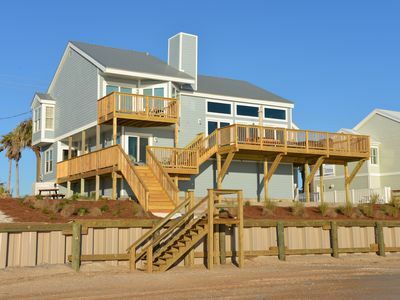 Beautiful Custom Beach Home ~ Pet Friendly ~ Fenced Yard ~ Great Price!!! 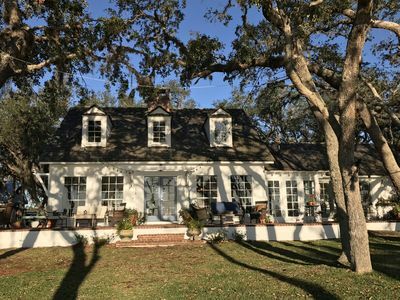 Historic Lincolnville cottage, just a short walk to downtown! NEW! 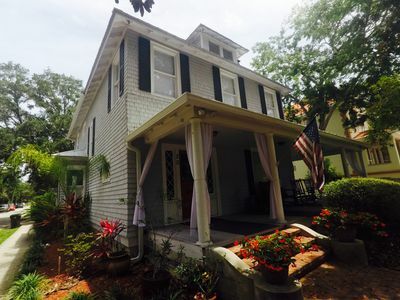 Historic Circa 1900s St. Augustine Bungalow!